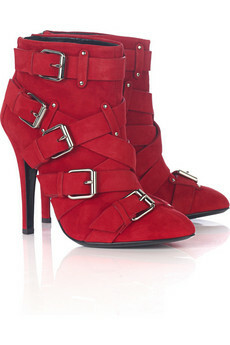 Eighties revival that has taken over a good part of fashion. 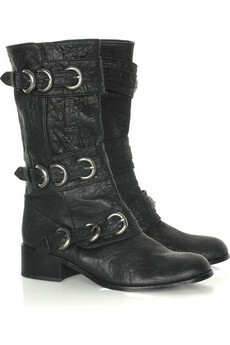 It's a fact that rock'n'roll biker boots are roughing up our fall wardrobes. 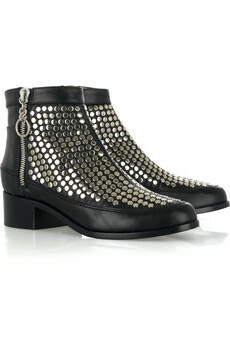 They not only add a touch of rock chick glamour but also a bit of masculinity to the outfit. 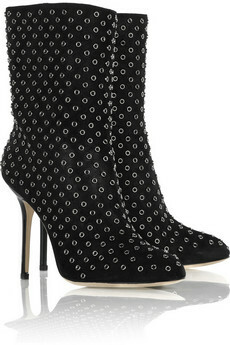 Metal studs and gold,silver rivets, buckles, knits, zippers and straps really make any shoe to an eye-catching piece this fall. 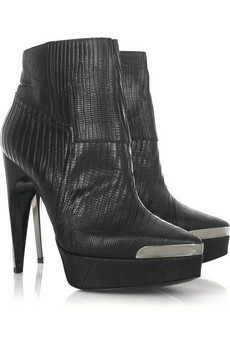 One tip: the biker boot is timeless and really works best when worn with a pair of tight jeans! I don´t know if they are still selling. You better check net a porter.